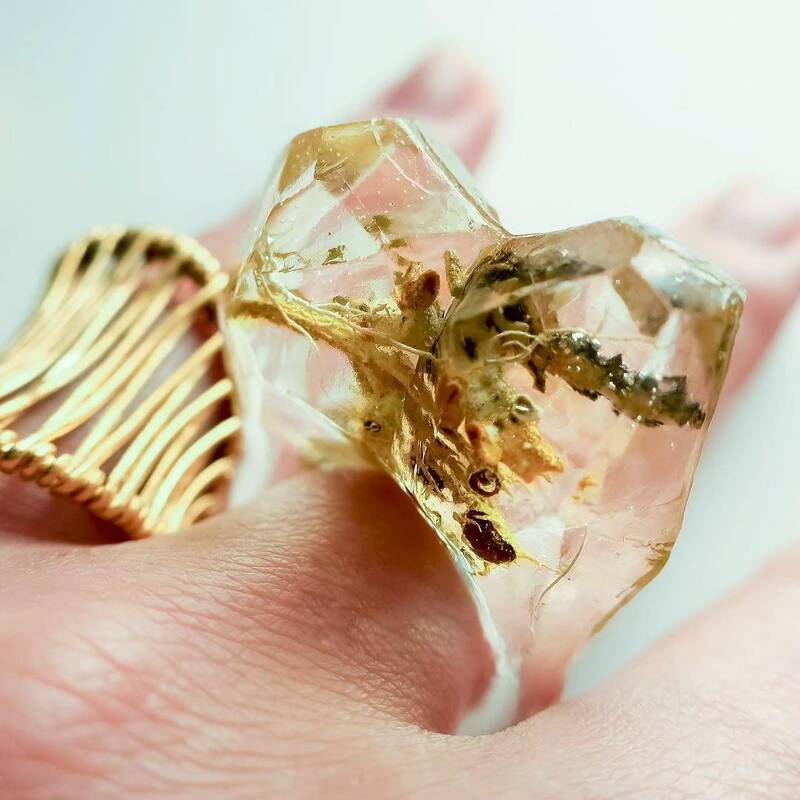 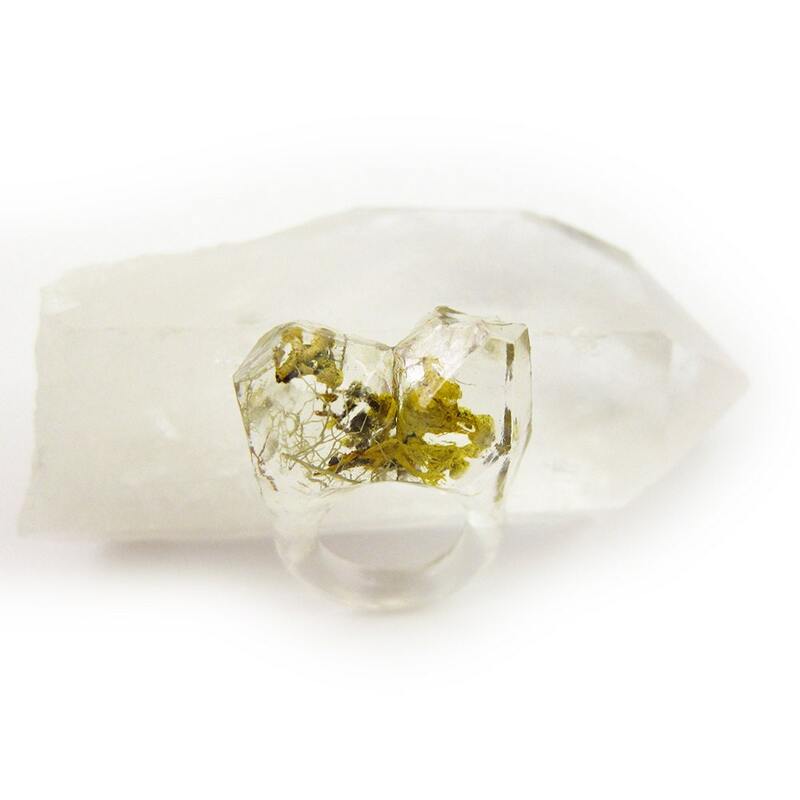 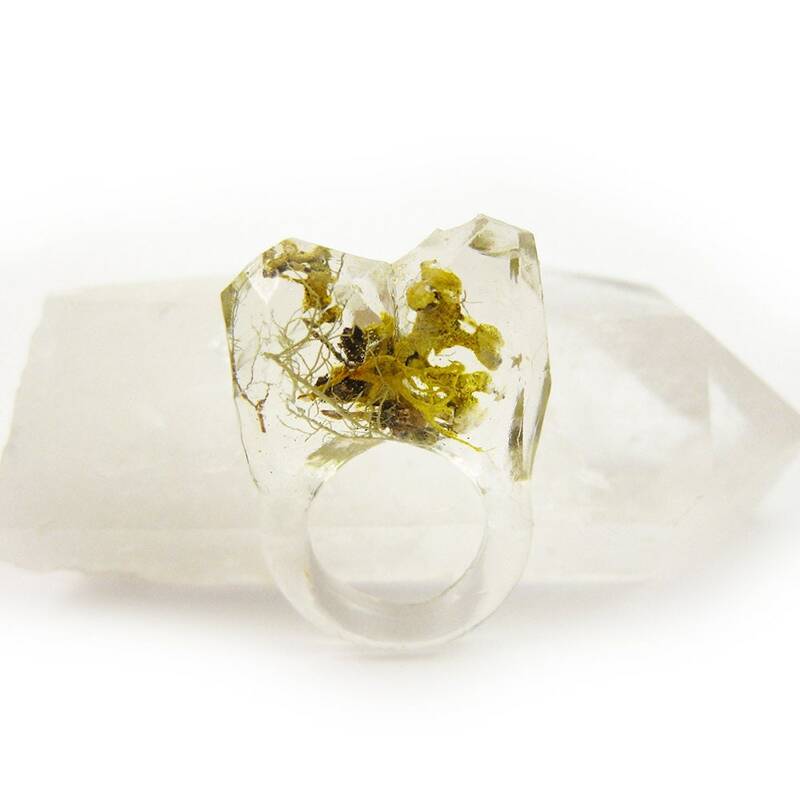 Eco clear resin nature ring with hand-gathered all natural real dried bright green reindeer moss inclusions. 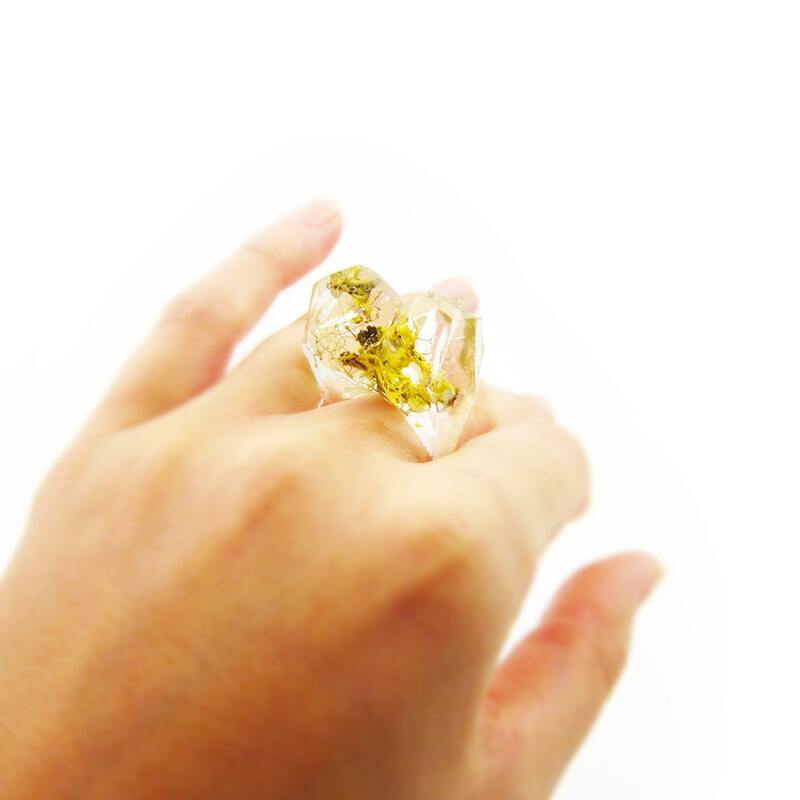 This ring is a size 5.5. 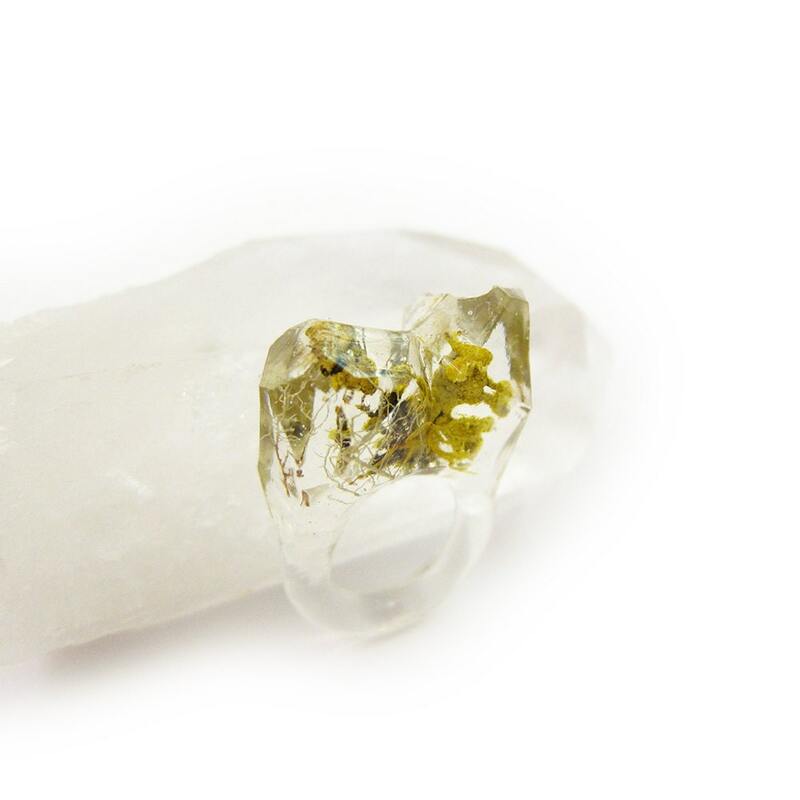 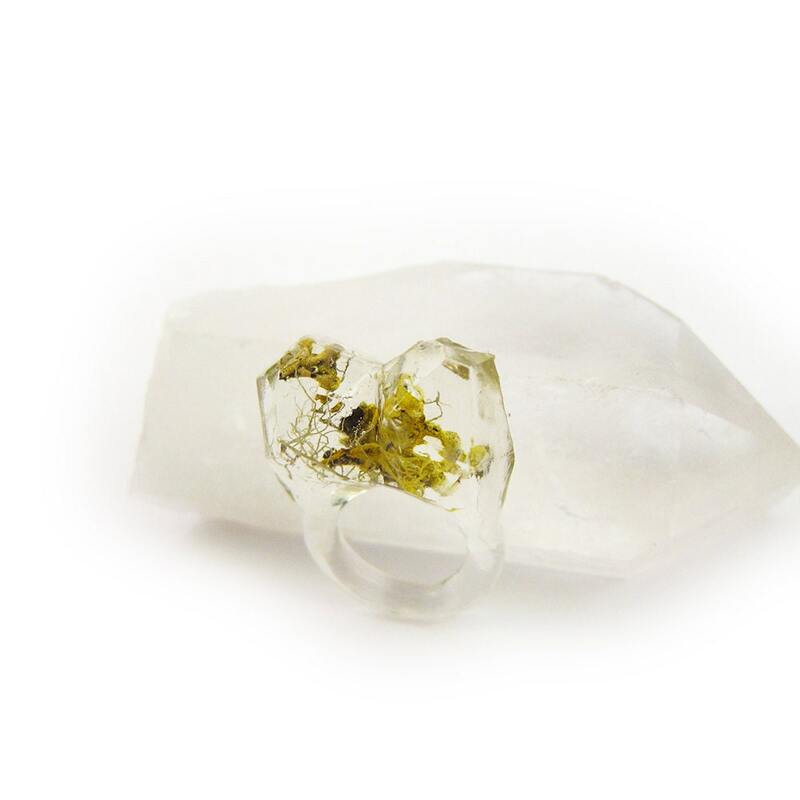 It has an asymmetrical organic shape with faceted top.